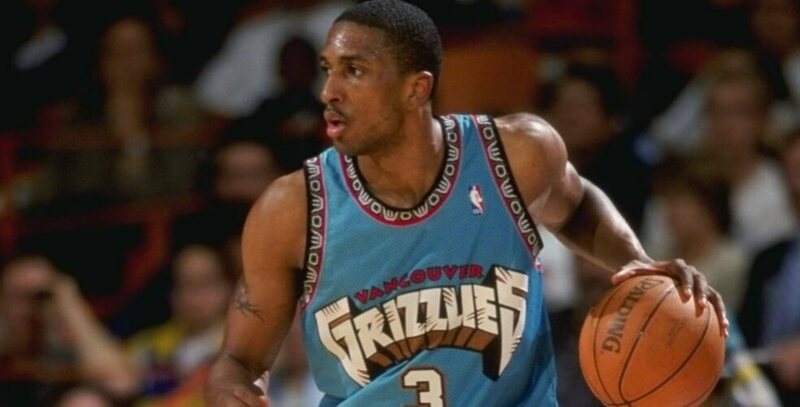 Shareef Abdur-Rahim was selected third overall by the Grizzlies in the 1996 Draft. The Grizzlies also traded for Anthony Peeler and George Lynch from the Los Angeles Lakers on 16 July 1996. Abdur-Rahim made an immediate impact playing for the Grizzlies, becoming the team’s leading scorer while setting a franchise record of 18.7 points per game (ppg). He finished third in balloting for the NBA Rookie of the Year and was picked for the NBA All-Rookie First Team. By the end of the 1996 – 1997 season, Abdur-Rahim led the team in scoring on 33 occasions, rebounding on 23 occasions. Despite these acquisitions, Brian Winters was removed as head coach after 43 games of the 1996 – 1997 season, and replaced for the remainder of the season by Stu Jackson. The Grizzlies went on to win only 14 games that season, again the worst in the whole league.